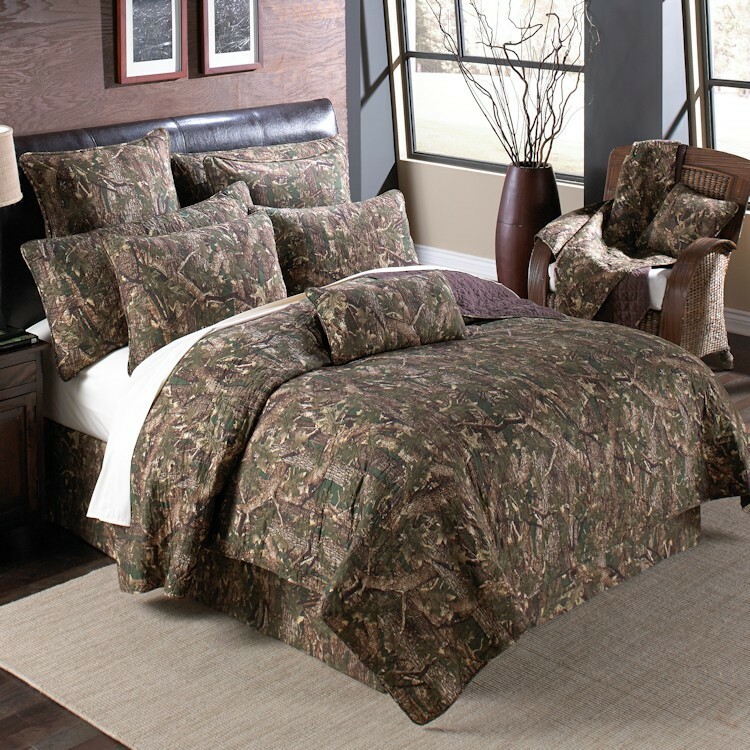 The Quilted Camouflage Bedding brings the rugged outdoors into your bedroom. 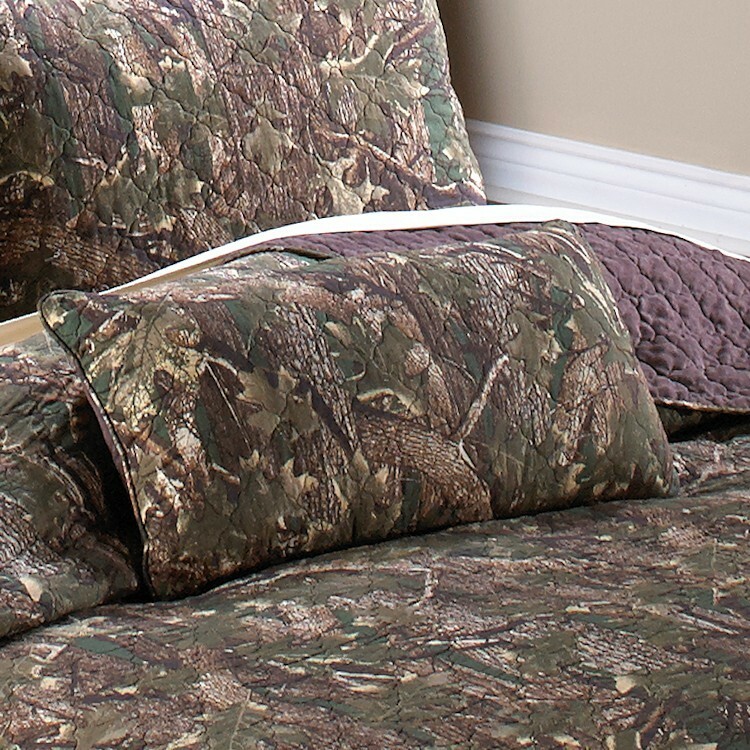 The shades of green and brown are neutral enough for most and decor and the tree limbs and oak leaves give this bedding a deep woods appeal. Bed Sets include matching euro shams and tailored bedskirt to complete this rustic bedding ensemble.